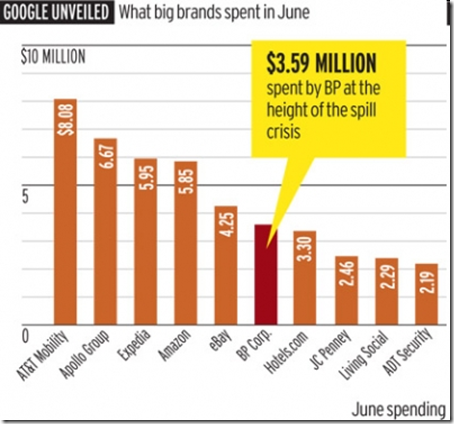 Below is the graph shown by adage showing the Google Adwords June Expenditure. Google information about the highest advertisers expenditures last June has been unveiled thru adage report on their site. It shows that AT&T spends the the highest ads spend amounting to $8.08 million dollar, followed by Apollo group and Expedia. Amazon and Ebay is also in the top list of the highest ads spen. What surprise everybody is the BP ads spends which is from $57,000 monthly ads spend to $ 3.59 million dollars last June.This is actually done for information about the BP Oil Rig Spill. 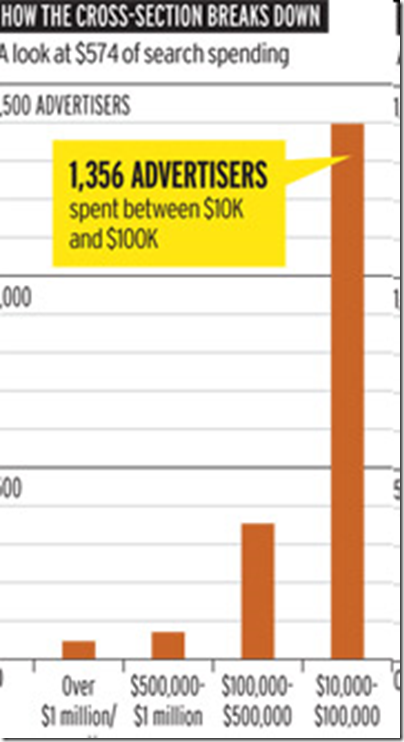 Above shown graphs shows the numbers of advertisers that spends from $ 10,000 to over $ 1 million. It only means that there are only few internet marketer that goes to an ad spend of more than 10,000. So this is where the Internet marketer includes. So how this information helps us ? Having this figures in mind , it could give you an idea how much do this big guys is spending in order to advertise. We can get a portion of those millions of dollars as a publishers. By the way this is only from Google, and how about Yahoo and other networks such as CPA Lead. There are lots of opportunity online we just need to unlock the techniques and discover the proper niche we need to go. Those are some numbers. I was expecting AT&T and some others, but I wasn’t really thinking that BP could spend that much money only on Google advertising while June was in the middle of the spill crisis.